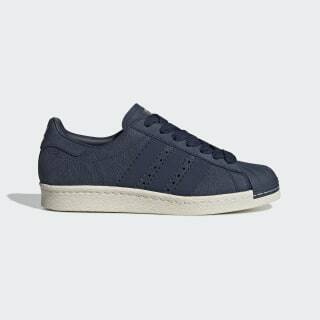 adidas Superstar trainers with snakeskin embossing. With its distinctive shell-toe design, there's no mistaking this street icon. This version of the adidas Superstar 80s shoes features extra-wide 3-Stripes. A subtly glamorous snake print on the nubuck upper takes inspiration from Medusa, the powerful character from Greek mythology.